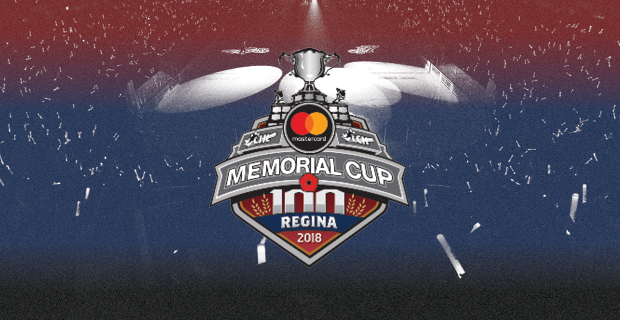 Another incredible season of CHL hockey is in the books, and the Memorial Cup is celebrating 100 years in Regina, Sask. with the host Regina Pats, WHL Swift Current Broncos, OHL Hamilton Bulldogs and QMJHL Acadie-Bathurst Titan battling it out for Canadian major junior supremacy. The Broncos, Bulldogs and Titan came with a fire in their belly, as all three entered their respective playoffs as the #2 team in the standings, and managed to edge out their competition to claim the league crown. And we can’t discount the Pats, who saw their WHL playoff run end early but had a strong regular season thanks to a star-studded roster, plus have one of the best fanbases in the league cheering them on at the Brandt Centre.